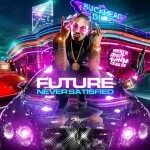 These are some of the hottest releases available right now to play and download free on Buymixtapes.com. 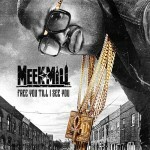 The first mixtape titled “Free You Till I See You” plays you music from Maybach Music Group artist Meek MIll. Apperances with the MMG rapper include Ty Dolla $ign, Guordan, Mac Miller, Rick Ross, French Montana, Jay-Z, Puff Daddy, and other top selling hip hop artists. 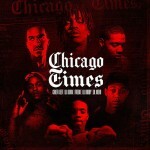 The next mixtape titled “The Chicago Times” gives you tracks from Lil Herb, Chief Keef, Lil Durk, and Lil Bibby. Features with the Chicago emcees include Young Thug, Dose, Mansion, Fredo Santana, Kevin Gates, Juicy J, Nicki Minaj, and many others. The last track is a bonus from Tink and Jeremih titled “Don’t Tell Nobody”. 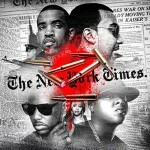 On “The New York Times” mixtape, we have music from French Montana, Fabolous, Remy Ma, and 50 Cent. Guest appearance with the NY rappers include G-Unit, Chinx, Yo Gotti, YG, Wale, Swizz Beats, Ty Dolla $ign, and more. 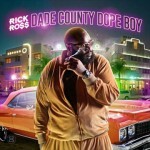 Up next is the mixtape titled “Dade County Dope Boy” featuring music from one of the top south rap artists, Rich Ross. Featured artists with the Maybach Music Group empire king are Fabolous, Ab-Soul, J-Lo, Chris Brown, Usher, Gunplay, Fat Trel, 2 Chainz, A$AP Rocky, Teeda Moses, Luke James, Rockie Fresh, and many more popular performers. 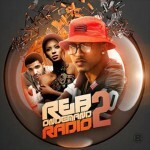 The “R&B On Demand 2” mixtape plays you music from some of the r&b music industry’s best musicians. On this mixtape we have hits from Jeremih, Chris Brown, Usher, Adrian Marcel, August Alsina, TeeFli, Tank, Kirko Bangz, and other r&b singers. The last featured to be reviewed is by one of the most popular artists from the south, Future. This mixtape is titled “Never Satisfied” and is sponsored by Street Runnaz Clothing. Appearances with Ciara’s husband include Chris Brown, KMG Steezy, Young Scooter, Kanye West, Wiz Khalifa, Juicy J, Pharrell, Casino, Pusha T, Lil Wanye, and much more. We have the best and hottest titles available for free and are always updating our site daily, so be sure to check back often.